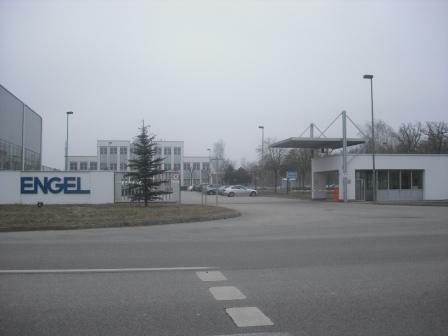 In the fiscal year 2011/2012, ENGEL AUSTRIA generated sales of over € 100 million in Asia for the first time. With the expansion of production capacities in Shanghai and South Korea, the injection moulding machine builder and automation expert – based in Schwertberg/Austria – sees itself well equipped to handle the anticipated increase in order volume from the region. “The demand in Asia increasingly calls for an adaptation of the injection moulding machines and system solutions to the specific requirements. Our decentralized, local production facility enables us to offer our customers clear advantages with short delivery times and realise a faster time to market,” explained Dr. Peter Neumann, CEO of ENGEL Holding, on 20 April at the opening ceremony of the considerably expanded production hall at the ENGEL large-scale machine works in Shanghai. To a large part, ENGEL attributes its record sales to its ongoing investments in the region since the first Chinese subsidiary was founded in 1986. With meanwhile three sales and service subsidiaries in China, further branches and agencies as well as two production plants in Asia, ENGEL achieved a market share of almost 10 percent in the relevant Asian market for the first time in the fiscal year 2011/2012. “In the fast-growing market segment of medium and large injection moulding machines, ENGEL is now one of the leading vendors in the region,” says Dr. Neumann. The large-scale machines built in Shanghai, together with the small and medium-sized injection moulding machines from the production facility in South Korea and exports to Asia from Austrian plants, have contributed to total sales of € 125 million. In order to be better prepared to handle the increasing volume of orders in the region, ENGEL has doubled the capacity of its large-scale machine works in Shanghai. In the future, more than 200 machines of the ENGEL duo series will leave the plant each year. Construction work at the Xinzhuang Industrial Park was completed by the start of the Chinaplas 2012 Trade Fair. International customers, partners and representatives of the press were invited to the plant on the third day of the trade fair to gain a first-hand impression of the high quality of production and systems solution competence of the Austrian injection moulding machine manufacturer. ENGEL has invested 12 million in the extension of the Shanghai plant. A further € 8 million are being invested in the expansion of the production facility for small and medium-sized injection moulding machines in Pyungtaek City, South Korea, which is due for completion in spring 2013. The plant’s present output of 650 injection moulding machines is to be increased to about 1100 units. Besides China – Asia’s largest market – the demand is also increasing in South-East Asia and India. For the South-East Asian countries, ENGEL is further expanding its sales office in Bangkok/Thailand and intensifying its market activities particularly in Indonesia and Thailand. € 800 million milestone achieved in worldwide sales In the fiscal year 2011/12, the ENGEL Group generated global sales of over € 800 million for the first time in the company’s history. Whereas revenues amounted to only € 358 million in the crisis year 2009/2010, the sales volume rose in the next fiscal year by 72% to € 615 million, now followed by a further 33% increase to € 834 million. The considerable success in Asia has made a significant contribution to this growth in revenue. A further reason is the successful launch of the energy-saving ENGEL ecodrive option which has boosted the market share of tie-bar-less injection moulding machines and of big two-platen machines. Today, half of the hydraulic injection moulding machines delivered worldwide are equipped with the servohydraulic ecodrive which – depending on the machine type and application – enables energy savings of between 30 and 70%. In addition, this growth is driven by the bundling business, in particular with the automotive industry and the significantly increased demand for all-electric ENGEL e-motion injection moulding machines. In the past fiscal year, the ENGEL Group was able to strengthen its global presence in automation technology. Every second manufacturing cell realised in Europe by an injection moulding machine builder is now delivered by ENGEL. In the process, ENGEL consistently focuses on integration. The ENGEL viper linear robot series and the new ENGEL easix multi-axis robot are both fully integrated into the control system of the injection moulding machine, simplifying operation and programming and boosting efficiency and availability of the plants. ENGEL stands worldwide for system competency, technological leadership and application-oriented innovation. In 2011, the global plastics markets called for innovations as never before, ranging from solutions in lightweight construction and flexible multi-component applications to the breakthrough of all-electric injection moulding machines in the packaging industry. The machine manufacturers are increasingly in demand as innovation partners – a principle that ENGEL has been implementing over many years for its customers in the international markets.